We use this wideband on all our personal and project cars. This UEGO sensor accurately monitors Air/Fuel ratios (AFR) during the tuning process to prevent a lean fuel mixture, which could lead to engine damage. AEM has combined its single-channel wideband UEGO controller and gauge display into one unit, uniting unsurpassed AFR accuracy and control with an easy-to-read interface. 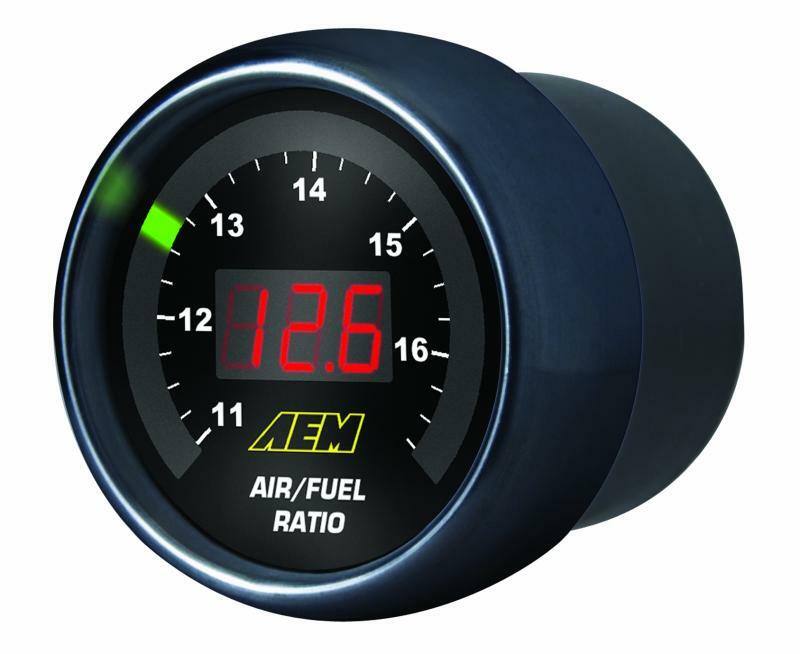 AEM’s Gauge-Type Wideband UEGO Controller features a digital LED display and sweeping LED “needle” that changes colors as AFR changes from rich to lean. We love the fact that the gauge displays BOTH a digital number and a "needle" type movement. This way, it is easy to see out of the corner of your eye what is going on which helps keep you focused on the track!